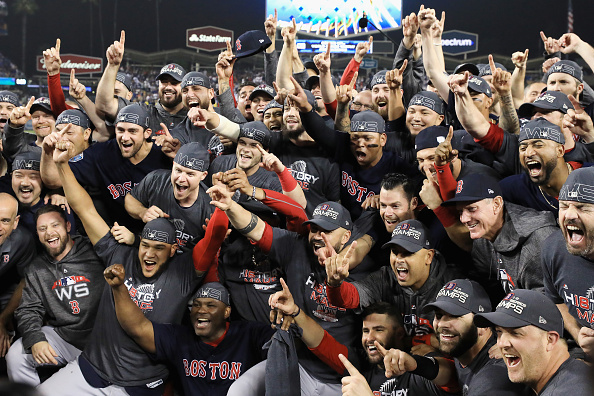 Back in December, the reigning World Series champion Boston Red Sox announced they would celebrate their 2018 title at the White House. Red Sox president and CEO Sam Kennedy said the team would visit President Donald Trump as they attempted to find a date that would work. The decision for champions to visit or not visit the White House has been a source of discussion throughout Trump’s controversial presidency, with many teams opting to not go since he’s been elected. Fast forward to mid-January and things have changed mightily. Red Sox owner John Henry said on Friday that the team’s visit to the White House could be contingent on whether the federal government remains shut down. Along with the shutdown, a “a few” players have already informed the team’s front office that they will be skipping the visit, according to Chris Mason, Red Sox writer for the Eagle Tribune. Rafael Devers told reporters at the Red Sox’ annual Winter Weekend that he isn’t going and that is not a political decision. At the end of the day, nobody will really care if athletes show up to the White House or not. People just want the government to open back up and receive their paychecks to continue on with their lives.